Baby sleep is a concern for all parents. Just when you think you’ve got it figured out, baby will enter a new phase and change it up for you. These tips are a good starting point, but every baby is different and you will find your own baby’s rhythm. 1. Use light and dark to help program your baby. Expose baby to natural light. 2. Create a bedtime routine and stick to it. 3. Try to get your baby to bed when he is sleepy. If you wait until he is overtired, he won’t know what to do with himself. 4. Check the sleep environment and make sure it is soothing. 5. Avoid stimulation at bedtime. 6. Notice your baby’s pattern and adapt to it. 7. Teach your baby to self-soothe. 8. Using a pacifier soothes some babies. 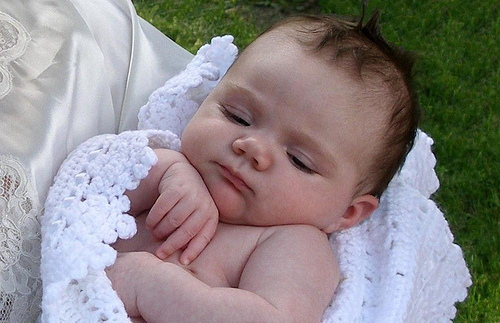 Here's a baby sleep solution that you can use tonight...Click Here!